Millie Marotta is a hugely popular illustrator and her idiosyncratic drawings of the world's wonderful creatures will draw you in. 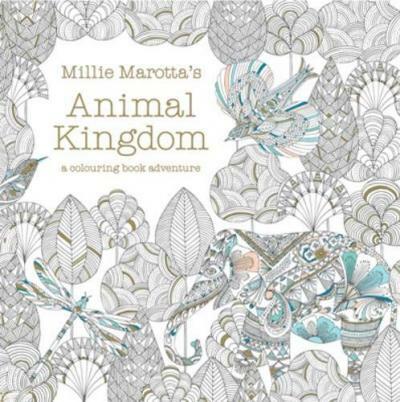 Millie's Animal Kingdom offers a range of beautiful illustration to colour in, personalise and make your own. Millie Marotta is a hugely popular freelance illustrator working in her studio by the sea in a little corner of West Wales, UK. She has developed a mild obsession with all things flora and fauna, which, along with intricate pattern and detail, remains an ongoing theme in her work, whether it be for a commission or simply to indulge her own flight of fancy. She works in both traditional and digital media and enjoys working on a diverse range of projects, which include editorial, advertising, merchandising, design for web, textiles and bespoke original works. Her clients range from Virgin Atlantic to Penguin Books.